JFC Financial Services works with Securities America as its broker/dealer. 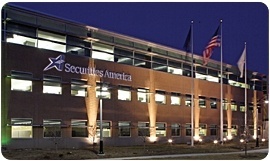 Securities America is based in Omaha, Nebraska, and was founded in 1984. As one of the largest independent general securities broker/dealers in the nation, Securities America, Inc. offers a wide range of investment products and services to advisors. Securities America is a member of the Financial Industry Regulatory Authority (FINRA) and the Securities Investors Protection Corporation (SIPC). Securities America Advisors, Inc., the advisory services division of the company, was founded in 1993 and is an SEC Registered Investment Advisor firm. As of year-end 2017, Securities America Advisors had almost $87 billion in total client assets under administration, with more than $38 billion in fee-based advisory assets under management. With 2506 producing independent financial professionals nationwide (as of 12/31/2017), everything Securities America does revolves around helping advisors deliver the best financial products, services and counsel to their clients. The company’s mission is to help independent advisors provide their clients with quality financial advice for life. Securities America’s parent company, Ladenburg Thalmann Financial Services Inc., is engaged in investment banking, equity research, institutional sales and trading, independent brokerage and advisory services and asset management services through its principal subsidiaries, Ladenburg Thalmann & Co. Inc., Investacorp, Inc. and Triad Advisors, LLC. Ladenburg Thalmann & Co. was founded in 1876 and has been a New York Stock Exchange member since 1879.